I can only wonder if the maid cleaned his desk and accidentally left a 1970s folder on top. Back in the 70s Democrats kept talking about creating a national oil company to “use as a yardstick” to measure the performance of the oil companies. One wag noted at the time that Gulf Oil was going to buy Ringling Brothers and Barnum & Bailey Circus to use as a yardstick by which to measure the federal government. Gas prices go up and down, as Jerry Taylor and Peter Van Doren have discussed. If prices are being held above market levels by some sort of collusion, then you wouldn’t need a tax-funded government company to offer lower prices; profit-seeking entrepreneurs could do it. Let’s leave the 70s be, and watch for high prices to stimulate conservation, exploration, and alternative sources of energy. “I’m for free enterprise, but –” You can hear it coming. “I’m against all these government giveaway programs, but –” It’s a common and frustrating experience for a libertarian, hearing a ringing declaration of principle followed by a qualification that the speaker doesn’t have any intention of giving up his own subsidy, regulation, tariff, or pet project. Years ago, when I was raising money for a free-market business group, I remember one of those letters: “I agree with everything you say. Government is too big. Subsidies and regulation are impeding the operation of our free enterprise system. But the Hawaiian sugar industry is unique.” A friend told me once that he’d persuaded his father, a dentist, to become a consistent libertarian–except on licensing for dentists. What about licensing for brain surgeons I asked. No, my friend said, I think he’s OK with letting the free market work there. And now NPR has brought us the latest example. On the way home, my mind wandered as “All Things Considered” reported on a biodiesel refinery in Washington state. And then I heard a familiar opening line from the tech millionaire who is now the CEO of Imperium Renewables, which built the refinery. I’m a pretty conservative guy, generally. I’ve voted Republican my whole entire life. And I’m very skeptical of the government’s role in any kind of market. Wait for it, wait for it — you just know there’s a “but” coming. But, in this case, there’s no other way to do it but with government support and mandates. Turns out biodiesel is profitable with a federal tax subsidy of up to a dollar a gallon, and with the anticipation of restrictions on greenhouse gases. So a guy who’s normally “very skeptical of the government’s role” supports subsidies in this case because there’s “no other way to do it.” But that’s the whole point of markets and prices–to tell us what economic endeavors make sense. If Hawaiian sugar, or South Carolina textiles, or biodiesel fuel isn’t economically viable without subsidies, then that means it’s not the best use of our limited resources. One of the values of a political philosophy–sometimes dismissed as “ideology” or “dogma”–is that it gives us a rule, a set of principles, for deciding such questions. We don’t have the time to look at all the data and decide what we think about every issue, and we’re certainly all subject to personal biases on the issues that touch us. There are lots of speakers I’d personally like to shut up, but if I remember that I do believe in the First Amendment, I realize I have to allow even offensive speech. I may want Amtrak to run fast trains between Washington and New York, or I may want to keep my own factory in business. But if I remember that the free-market economy produces the best results for all of us, then I will accept the outcomes of the market process. 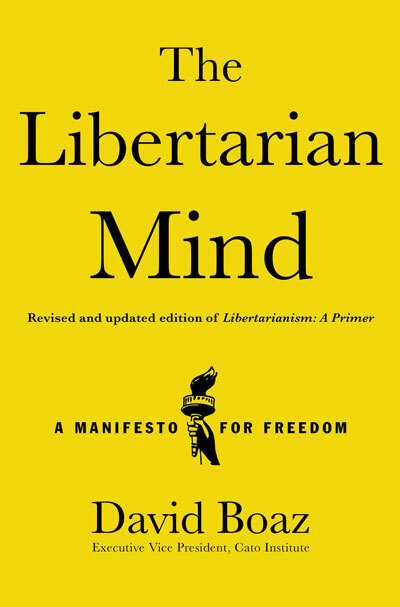 People should think about the benefits of the whole libertarian system–free markets, free speech, freedom of religion, constitutional limits on government–whenever they’re tempted to say “I’m for freedom, but–”.